I wish I wrote The Life-Changing Magic of Tidying up! 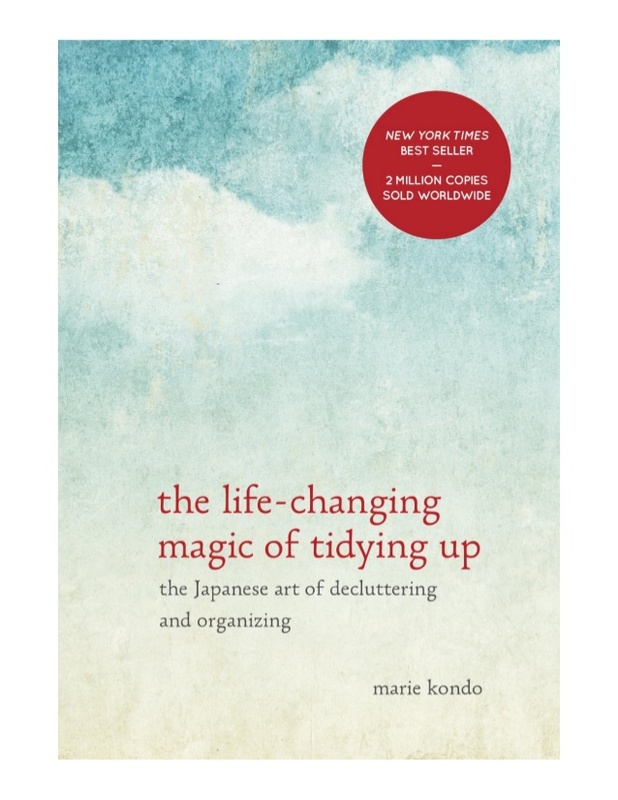 As a professional organizer for over 20 years, Marie Kondo’s book, The Life-Changing Magic of Tidying Up puts into words my organizing philosophy. A Japanese cleaning consultant, Kondo has revolutionized the concept of simplified living. The book is an international bestseller because her KonMari Method helps people grasp the transformational magic that comes when you tidy up. Before Kondo’s book, most people would consider organizing one room at a time. But Kondo’s concept involves organizing by category, not by room. She recommends tackling each category in the following order: Clothes, books, papers, miscellaneous and finally mementos. To get started, her method directs you to take every piece of clothing in your home and place in one pile to sort. This may overwhelm the average American whose clothing might look more like a mountain instead of a manageable pile. You can modify her advice by working with one person’s clothing at a time. The next step is to determine what to keep and what to let go of. Kondo advocates taking each item in hand and asking: “Does this spark joy? If it does, keep it. If not, dispose of it. Keep only those things that speak to your heart.” In theory, this is a great concept. In reality, though, many might find that every single pair of their 100 shoes sparks joy. Or a book lover might love all their 2,000 books despite the fact they are unlikely to read them again. In this regard, Kondo suggests a limited “Hall of Fame” collection comprised of your favorites. Be prepared for some unusual advice regarding your relationship with your stuff. Kondo encourages thanking each item for their service before tossing it. She also frowns on rolling your socks together because they need rest and how can they rest like that? And hang the clothes you own on hangers if you think it would make the clothes happier. In regards to paper, Kondo’s rule of thumb is “discard everything.” She recommends only keeping what you are currently working on, need to keep for a period of time and papers that need to be kept indefinitely. These papers need to be kept in one place only. Her book also includes advice on a list of miscellaneous items from broken appliances to small change. Kondo charms with her client stories which makes it an interesting read and reference book. I definitely think it could make it into your “Hall of Fame” book collection if you choose to read it! 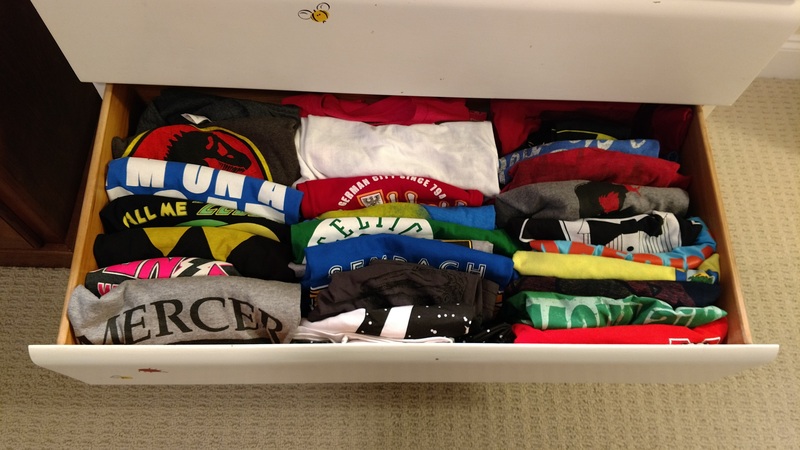 One of my favorite Marie Kondo’s suggestion is storing things standing up rather than laid flat.